With the departure of drummer Jimmy Chamberlin in 1998, Smashing Pumpkins had an opportunity to reinvent themselves all over again. The release of Adore simultaneously did and didn't do this. The band has certainly matured, but there is no mistaking the sound of 1979 again. Mostly, Adore was an especially hushed album that captured the interpersonal problems and musical uncertainty of the band. It was the Smashing Pumpkins as they were falling apart, which is why it will take hours to devour and decipher as a massive super deluxe reissue that expands the original 16-track album into a monster release with mono versions, demos, outtakes, bonus tracks, and live sessions. The effort is remarkably dizzying if you sit down to listen in a single sitting (maybe even more so if you don't). The Adore reissue takes fans back and finds some new ones too. Adore was originally released in the late nineties as a contemporary art rock album that explored a new depth for the band. But what makes the reissue feel different is that it fits the modern calamity of what music has become even more than it did almost decades ago. Fans felt alienated by it then, never realizing that they might feel the way Billy Corgan did then the way they do today. Lovesick and intimate, there is a duality inside the album in that Corgan wanted outgrow his audience even if most wouldn't appreciate it until they, too, were older. In retrospect, he didn't even have much choice. The death of a supporting musician, firing of a musical soul mate, bust up of a marriage, and loss of his mother was a nearly insurmountable affair. He felt grown up or, at least, wanted to open a new chapter. Opening with To Sheila, Corgan wasted no time establishing what kind of album Adore was going to be. The acoustic-paino ballad is steeped in sadness despite not being as dark as the rest of the album. In many ways, it captures that moment after reeling from an unexpected punch but before your mind has truly caught up with the shock of it. After the opener, the album breaks into Ava Adore and Perfect, which are two of the most fan-tred tracks on the album. Ava Adore drips with darkness. Perfect is a splash of brightness. The contrast between the two tracks is obvious, breaking between menacing near-techno and alternative indie pop. Other standouts include the meandering vocal-focused Crestfallen, the stomp-beat Apples+Oranges, the heartfelt tribute of For Martha, and the masterful Blank Page. And while these tracks round out the original release, the reissue only gets started, recutting the entire album in mono. But the real meat after the original tracks is discoverable in several b-sides and dust ups. Listening to the Adore reissue can be galvanizing, especially when you come to realize that tracks like My Mistake and Blissed And Gone are not merely b-side reissues but rather brilliant demo versions that trade out the piano for grunge-laiden acoustic. It makes what many consider the most intimate Smashing Pumpkins album even more personal, creating an array of living room and bedroom cuts. 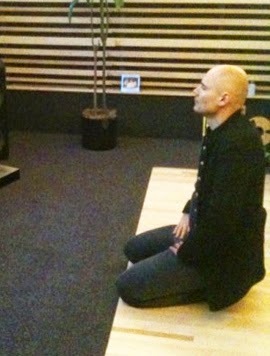 Later down the line, Corgan gives up some interesting string mix-ins, like a banjo. In consideration of the various reissues — including Gish, Siamese Dream, and Mellon Collie — Adore is proving to be the most interesting in that it is being revived not as the great departure many fans took it to be, but rather a haunting moment in time told through not 17 but 107 tracks that feel like six different albums. Any of them might produce a favorite cut or something all together unique, ranging from grand live embellishments to outtakes that might have been. The Adore Reissue Is An Amazing Trip At 8.9 On The Liquid Hip Richter Scale. All in all, what makes the Adore reissue so interesting is that it is an album made during the death throes of a band and perhaps, more directly, Corgan himself. Somehow he managed to push back against the temptation to throw in the towel and made one last push at the end of amazing ascent. And if nothing else, you will never see Adore the same way again — doubly so as Corgan has once again said he might split up Smashing Pumpkins after two planned albums in 2015. You can find Adore (Super Deluxe) on Amazon. It is also featured as a download on iTunes. A higher-priced special edition CD/DVD of Adore by the Smashing Pumpkins is available at Barnes & Noble. For more about the Smashing Pumpkins, visit Facebook.